Reserve makes it easy to find a great local restaurant, make a free reservation and pay the bill or split the check effortlessly at the end of the meal, without having to take out your wallet or phone. “.. .magical…” New York Times “... a winwin situation for diners and businesses alike” Travel + Leisure “... be treated like a at the nation’s best restaurants” Haute Living Reserve Makes Dining Out with Friends a Breeze The Eats “... the Reserve app goes a step beyond OpenTable... “ “... automatically split the bill with your party without having to fuss with, ugh, math.” The Next Web Now available in New York City, Los ngeles, Boston, San Francisco, Chicago, Philadelphia, and Washington Use Reserve when you’re planning lunch with friends or for your next date night dinner we can’t wait to give you the concierge service you deserve. WORKS Discover the best restaurants in your city, explore the map to find spots near you or get a great recommendation from your concierge. Search for a specific restaurant on our curated list, or filter by cuisine, neighborhood, vibe or price to streamline the restaurant discovery process and find exactly what you want. 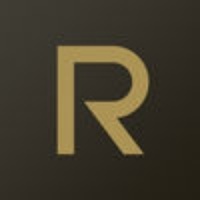 RESERVTION Tell us the date and time you’d like to dine, make your choice from the options in your city, and Reserve’s digital concierge will help find you a table. Sit back and watch like a while Reserve works with our restaurant partners to secure your booking. Your concierge can help you access tables that may not be available elsewhere online, or work with the restaurant to offer you seats at the bar or chef’s counter if there isn’t an open table in the main dining room. Whether it’s upscale sushi or authentic bbq, a vegan taco or gourmet hamburger, Reserve can help you get the familiar food you crave or try a new dish from the best chefs in town. REDY HOSPLY Before you even walk in the door, you can view photos of the food and decor, see the suggested attire and price range, and check out the restaurant’s menu to get excited for your meal and feel like a local even if you’re traveling from out of town. In advance of the meal, invite friends to join your table or split the check and avoid the hassle of having to figure out the check. Reserve helps you take care of the details ahead of time, so when it’s time to dine you can sit back and enjoy great food and hospitality in the company of friends. PY EFTLESSLY Before you request a table, load your debit or credit card into the app. fter your meal, the check is automatically billed to your card, including the tip, which you can set and adjust at any time from your Reserve account profile. Payment is easy and seamless. Rate your visit to provide valuable feedback and make your experience even better the next time you go out to eat. Find out what The Times, The Wall Street Journal, TechCrunch, Chronicle, Chicago Tribune, Mashable, Fast Company, Zagat, Food & Wine, Travel + Leisure, Rolling Stone and more have all been talking about! Check these links to find your download for Reserve for & iOS or for your device iPod TouchiPhoneiPad. The app Reserve is compatible with te following devices.